In the U.S. and the U.K., gov’t and foundations play a key funding role as investors try to avoid the risk. Cell therapy took an important step forward recently in the U.S. when the Centers for Medicare & Medicaid Services (CMS) suggested that the federal government reimburse older men who use Dendreon’s drug Provenge for the approved hormone-refractory prostate cancer indication. A final decision is expected on June 30. If the proposed decision stands Provenge could be among the most expensive drugs covered by Medicare. It costs $31,000 per treatment, with three treatments the norm. High treatment costs are one of the key challenges—but not the only one—faced by developers of cell therapies, especially in the U.S. Cell therapy has also struggled to find interest among venture capitalists and other investors—more so since the science is relatively new. Compared to traditional therapies, financing cell therapies “is a lot harder because investors are not sure yet what the regulatory environment or the intellectual property environment is in the cell therapy space,” Baiju R. Shah, president and CEO of BioEnterprise, a business formation, recruitment, and acceleration initiative, told GEN.
FDA has implemented a risk-based approach to the regulation of human cells, tissues, and cellular and tissue-based products (HCT/Ps). 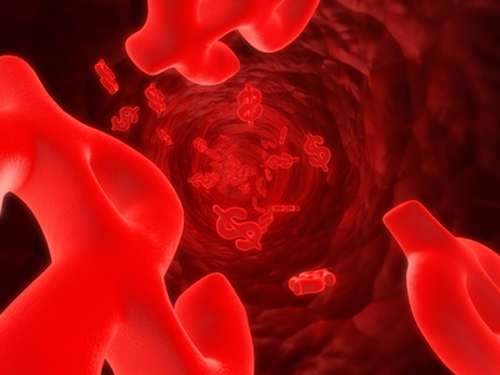 Regulation focuses on three general areas: limiting the risk of transmission of communicable disease from donors to recipients; establishing manufacturing practices that minimize the risk of contamination; and requiring an appropriate demonstration of safety and effectiveness for cells and tissues that present greater risks due to their processing or their use. The only cell therapies approved by CBER are Genzyme’s Carticel (autologous cultured chondrocytes) to repair knee injuries and Dendreon’s Provenge, an autologous cellular immunotherapy for the treatment of asymptomatic or minimally symptomatic metastatic hormone-refractory prostate cancer. “We all know what we need to establish. What the field doesn’t know, and I’m sure the FDA doesn’t have all the answers, is what the best pathway is for establishing safety and efficacy,” Elona Baum, general counsel for the California Institute for Regenerative Medicine, told GEN.
Baum cited several potential regulatory uncertainties: a lack of suitable animal models, the fact that living cells interact with the environment they are in and have the potential to migrate, and in many cases, a lack of a good understanding of the mechanism of actions, which makes it difficult to satisfy the safety and efficacy standards set by FDA. “I believe that at some point in time, the patient advocates will probably get more involved earlier in the development pipeline, because there will have to be a risk assessment for first in human studies,” Baum added. Shah pointed out that given those types of challenges, “there aren’t that many firms out there that are interested in financing cell therapies.” BioEnterprise itself has helped nurture several cell therapy developers in recent years. One is Athersys, a stem-cell therapy developer that in January said it would raise $13.1 million by selling shares to undisclosed private investors. Another BioEnterprise-nurtured cell therapy developer is SironRx, a Juventas Therapeutics spinout and developer of therapies exclusively licensed from Juventas and Cleveland Clinic. SironRx raised $500,000 from the clinic’s corporate venturing arm, Cleveland Clinic Innovations, and Northeast Ohio economic development group JumpStart as part of a larger initiative to raise $2.5 million. The half-million dollars allows for the launch of a Phase II study of its lead product, SRX-100, which uses stem cells to accelerate wound repair and prevent scarring. The involvement of Cleveland Clinic, a co-founder of BioEnterprise, reflects how cell therapies often originate within research institutions using federal NIH funds for basic research. “Cell therapy companies have to become very creative in their sources of financing,” Shah said. Baum agreed and said cell therapy developers need support from a variety of public and private sources. “What we are seeing more and more is the need to get some sort of government entity or foundation support for early-stage research, and that is where agencies or institutes like CIRM come in. “This is also where foundations such as Juvenile Diabetes Research Foundation are very important. When we build these public-private relationships and models, we will be able to foster the development of this industry,” said Baum. In the U.K., cell therapy research has also taken in government funds and private dollars from disease foundations. The UK Stem Cell Funders Forum has sought in recent years to align research councils with charities, government departments, and regulatory agencies to discuss common concerns. On the private side, in February the British Heart Foundation launched its £50 million Mending Broken Hearts Appeal to fund stem cell research intended to improve chronic heart failure treatment. And since 2005, the UK Stem Cell Foundation has worked to raise £100 million. On the public side is the Medical Research Council (MRC). Its Translational Stem Cell Research Committee has committed to awarding at least £10 million annually. MRC also funds stem cell centers of excellence in Cambridge and Edinburgh. Additionally, MRC and the U.K.’s Department of Health maintain an online UK Stem Cell Tool Kit designed to navigate cell therapy developers through the country’s numerous regulatory agencies. The toolkit was developed with six regulatory agencies, two of which have been proposed for extinction since last year as part of the U.K.’s ongoing budget-cutting under the coalition government of Prime Minister David Cameron. The Human Tissue Authority (HTA) regulates stem cell research, overseeing the use of organs and human tissue for therapeutic purposes. The Human Fertilisation and Embryology Authority (HFEA) regulates and oversees the use of gametes and embryos in fertility treatment and research including human embryonic stem cell (hESC) research. A new health research agency recommended by the Academy of Medical Sciences would take over their oversight role in research, while the healthcare-related licensing operations of HFEA and HTA would continue through the new Care Quality Commission, created to regulate health and social care in the U.K. But advancing stem and other cell therapies will require more than the proverbial shuffling of government agencies and their duties. The U.K. government’s Business and Innovation Skills department is crafting a “stock-take” study examining the kingdom’s regenerative medicine effort, Dr. Catriona Crombie, MRC program manager for stem cells, developmental biology, and regenerative medicine, told GEN.
“We’re looking at all of the issues and what the barriers might be, whether it is skills gaps or getting people to carry out multidisciplinary work, which is going to be essential to getting this field moving forward,” Dr. Crombie said. One barrier that has not arisen in the U.K. as in the U.S. is the restriction of research using hESCs on ethical grounds. Dr. Crombie said MRC joined with other funders of cell therapy research to actively promote the benefits of stem cell research, which she credited with a 2008 amendment to the Human Fertilisation and Embryology Act allowing the use of hESCs. A Fountain of Youth Called GDF11?